Samuel Franklin Cody, 1912. American-born Cody invented the man lifting kite as a means for military observation. 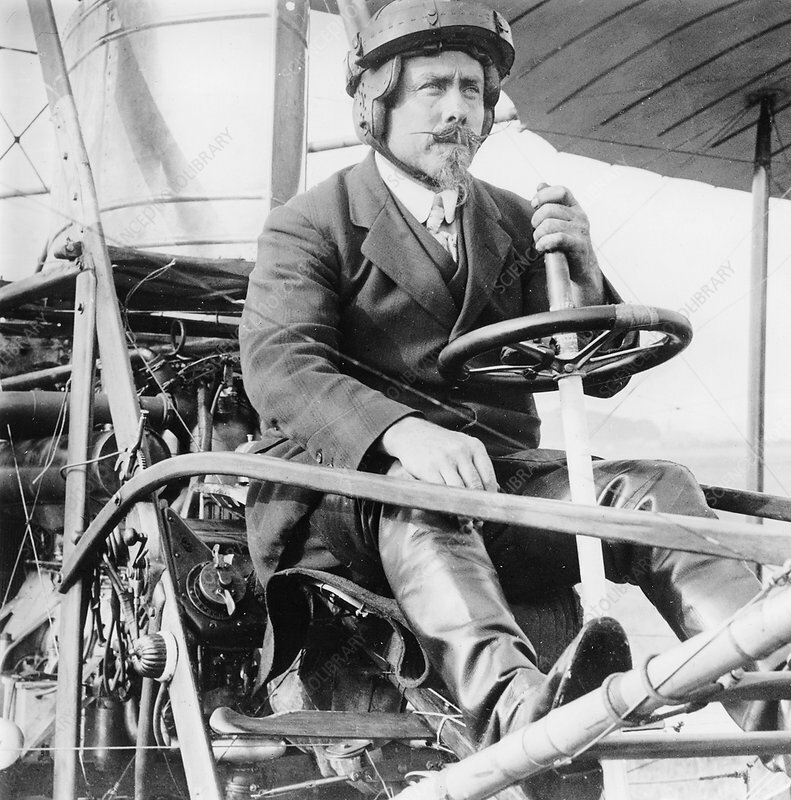 On 16 October 1908 he made the first powered flight in Britain in his British Army Aeroplane No.1, using a 50-hp Antoinette engine. Photograph of Cody at military trials, 1912.